Collagen. It seems to be the new kid on the health block, popping up in everything, from bars to smoothies to supplements, you name it. Collagen has been added to it. With that being said however there has been a significant amount of exciting & positive research that’s been surfacing over the last decade with regards to the many therapeutic benefits of this functional food. Collagen is the most abundant protein in mammals & is essential for both structure & mechanical stability, strength & integrity of a range of different tissues, specifically connective tissue & bone. Collagen is a long-chain amino acid synthesised from glycine, proline & hydroxyproline. The amino acids in collagen help to strengthen & heal damaged tissue by promoting repair on a cellular level. 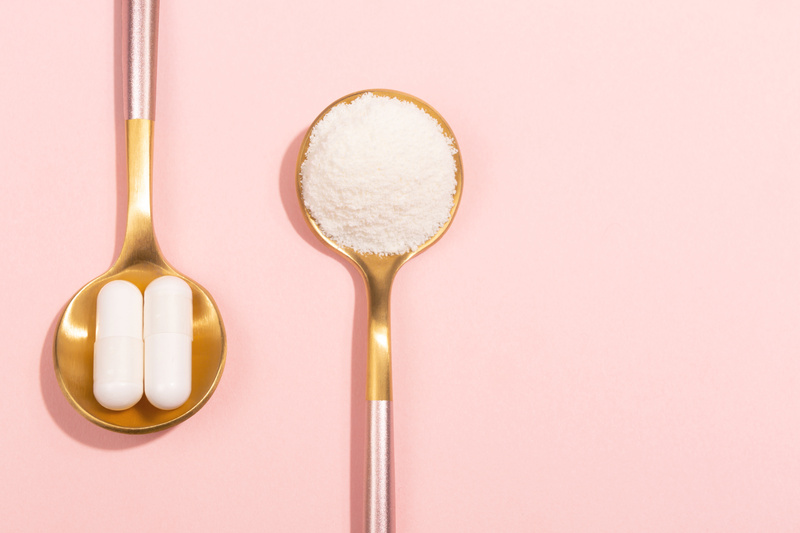 Think of collagen as the essential building block or matrix of all connective tissue in the body. It’s the back-bone of the structure & integrity of these tissues. Without sufficient collagen these tissues can become compromised & weaken over time, accelerating the ageing & degenerating process both internally & externally. Remember ageing is more than just our faces sagging! It’s important to remember also that our endogenous (in the body) collagen synthesis naturally decreases overtime & is a very normal process of ageing. With collagen we are able to support our bodies production of collagen & mitigate accelerated signs of ageing & slow down this process. Collagen is one of the easiest supplement to take as it dissolves entirely into any liquid (hot or cold) & is almost completely flavourless. We recommend adding it to smoothies (try one of our delicious summer smoothies recipes here), water or any other beverage you wish. The dosage is entirely depended on the reason for use however it is usually recommended to start with 1-2 heaped tablespoons daily in order to experience a noticeable effect overtime. It’s important to remember also that collagen is in fact a type of protein therefore it is not really necessary to supplement with an protein powder simultaneously if you are already getting enough dietary protein through foods. Research has also confirmed it’s safety for long term usage, specifically in chronic health conditions. To treat a specific condition or injury it is recommended to consult a qualified health professional for correct evaluation & dosage in order to achieve best results. Collagen hydrolysate has been shown to have an anti-ageing effect on the skin. Clinical research has shown that this is due to collagen’s ability to increase antioxidant capacity, reducing the oxidative stress which leads to premature ageing of the skin. Collagen is also a useful agent for skin healing, particularly scaring & wound healing, as it increases fibroblast (structural framework of tissues) density & formation of collagen fibrils in the dermis (skin) to promote skin integrity & strength. Collagen is essential for the structure & integrity of the gut lining & preventing/treating conditions such as leaky gut. Significant reduction in pro-inflammatory cytokines & mucosal damage has been observed with the usage of collagen. Collagen may also facilitate a faster regeneration of damaged mucosa in chronic digestive conditions including intestinal permeability, irritable bowel disease & diverticulitis. Collagen can also be utilised to prevent degeneration of the digestive tract & support digestive function through ageing. Collagen plays a very important role in connective tissue function, is it important in order to maintain joint mobility & strength throughout our life-time. According to clinical research, collagen hydrolysate given orally has been shown to absorb well in the digestive tract & accumulates in cartilage whilst significantly increasing the production of extracellular matrix macromolecules by chondrocytes (cells found in cartilage which promote grown of cartilage, etc. ), which provide the structural support for surrounding cells. Hydrolysate collagen may also slow down the breakdown of bone & reduce the onset osteoarthritis or slow down the progression in affected individuals. Clinical trials also showed a significant reduction in joint pain of the upper limbs & lumbar spine was observed in another study after administration of collagen for 6 months. How does Collagen differ to Gelatin? The texture & consistency of collagen & gelatin are very different. Collagen has been hydrolysed & heated to very high temperatures, breaking the bond between the amino acid & allowing them to be easier for the body to digest & utilise. Collagen also dissolves completely in liquid & doesn’t thicken or set. Gelatin will bloom & thicken when activated with water, making it perfect for use in jelly & other recipes which need to be set. Can you purchase Vegan Collagen? Unfortunately there is no available vegan equivalent that has similar therapeutic benefits. There are however a number of nutrients such as vitamin C & amino acids which promote & support the production of collagen. 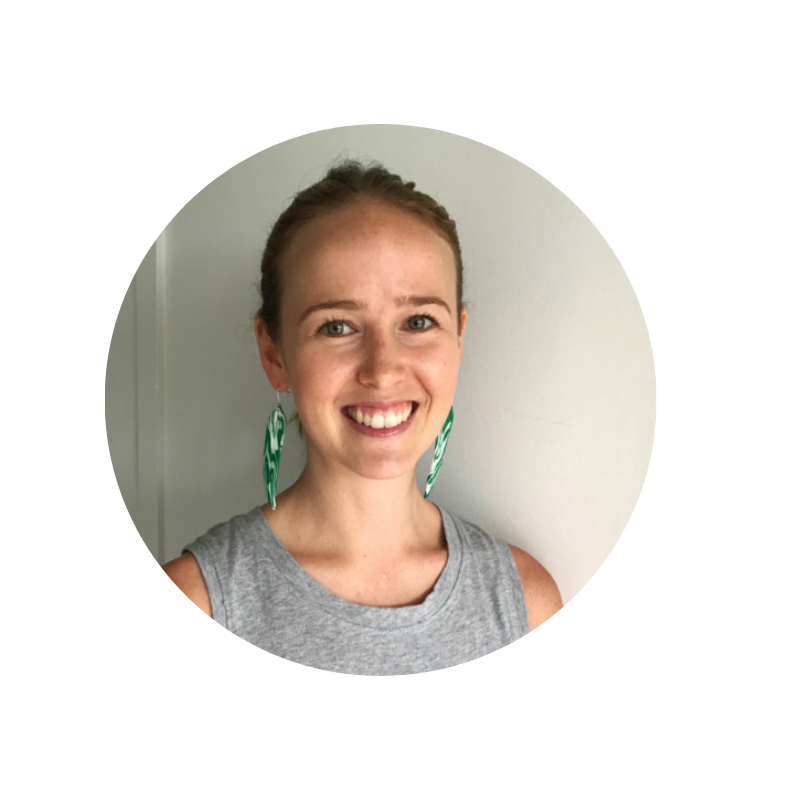 Mindy Duncan is a Bachelor qualified clinical naturopath with special interests in women’s health, menstrual & hormonal health, thyroid function & self-esteem. This entry was posted in Health Supplements, Organic Food, Vive Clinic, Vive Health Nutrition, Well-being and tagged anti inflammatory foods, anti-inflammatory natural products, brisbane naturopathy, brisbane nutrition, collagen benefits, collagen hydrolysate, collagen injury, collagen joint pain, collagen skin health, food is medicine, functional food, holistic nutrition, natural anti-ageing. Bookmark the permalink.